Tootsie Roll Pops are a great treat for any age! A delicious, hard candy coating with a chewy Tootsie Roll center. 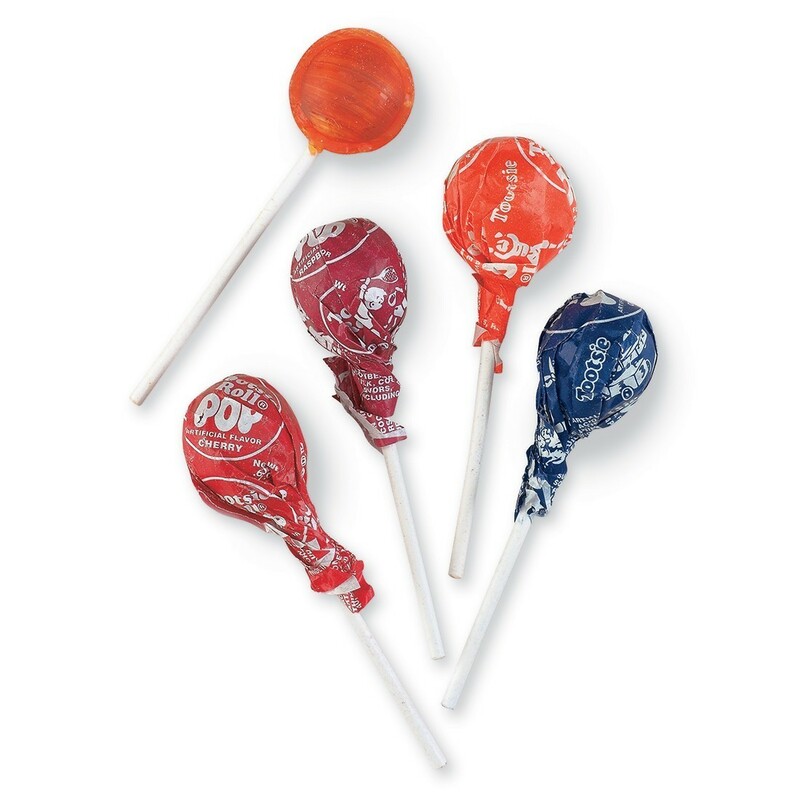 This assortment features the original five yummy flavors: chocolate, grape, raspberry, orange and cherry. Keep a bag at your office so all your visitors leave with a smile! Peanut, tree nut and nut product free. Gluten free.